Every Labor Day Weekend, the hot air balloons come to Colorado Springs. We love to see them take off in the mornings. 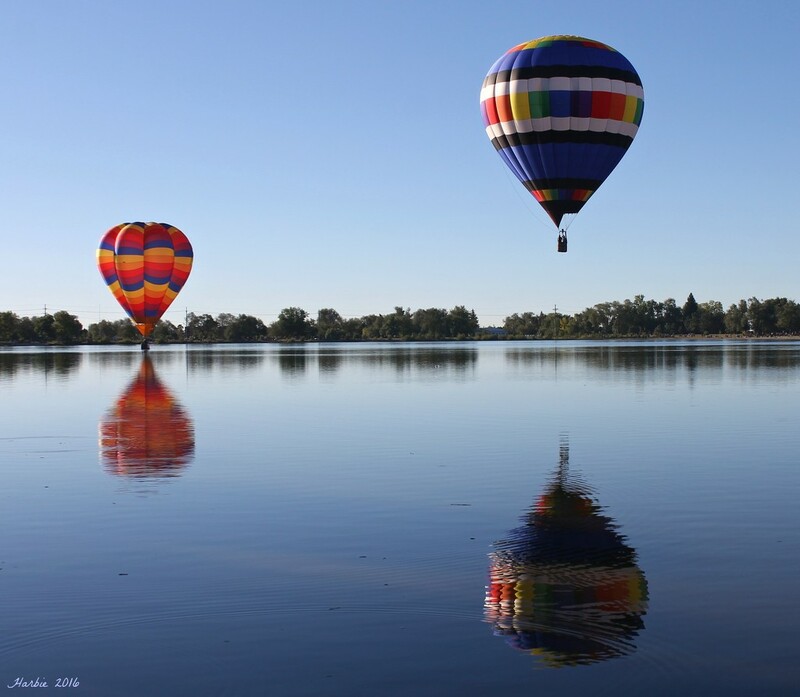 If the wind is right the balloonist are able to fly over Prospect Lake. They try to touch or even better skim their baskets along the lake. The crowds love it. Both of these balloons had touch downs. Thanks so much for viewing!! Absolutely beautiful! How wonderful to see. Fantastic capture of the reflections. Fav. i think i want my pilot to keep it in the air. beautiful, is that one touching its basket on the water? @sailingmusic. It is...if the balloonists are in a good position they try to touch down or even better skim along the water. Thank you for the follow. I am following you now, too. @sangwann Thank you too! :)! Love the comp and color. Your tags are a bit messed up.